On average, virtually every week since the program started in January 2017, a dog or cat who has been sterilized by the ASPCA under contract with ACC is returned to the pound and then killed—animals who have undergone anesthesia, and the females, major abdominal surgery, with taxpayers footing the bill. This not only exposes animals to needless pain and stress, but it wastes lives, wastes money, and betrays the public trust. The Health Department claimed that, “This long-term contract is a testament to the Mayor’s commitment to finding loving homes for homeless and abandoned animals.” Advocates say the opposite is true. The new contract will maintain archaic policies until 2052, they argue, including provisions that hamper animal protection, such as putting the leadership and staff of ACC under a “gag” order, limiting who can rescue animals from ACC, and maintaining the power of the Department to reject innovation in the rehabilitation and placement of animals who may have health or behavior impediments. The No Kill Advocacy Center also proposed annual, or at the very least biennial, independent audits and compliance with the deficits uncovered in those audits. Unfortunately, those proposals were rejected out of hand without public input. Indeed, not only did the No Kill Advocacy Center not receive the courtesy of a reply, but even city council members admit they had not been allowed to see the contract before it was approved. Given the lack of accountability woven into the contract, it is more imperative than ever that legislation be passed to force the pound to do its job humanely. A number of advocates are calling for New York City to pass comprehensive shelter reform legislation, such as the Companion Animal Protection Act. Doing so is not without precedent. Similar laws in other states save nearly 50,000 animals a year, have reduced killing statewide by over 90% in some categories of animals, and have cut millions of dollars in wasteful spending. For example, similar legislation is responsible for placement rates of 99% in both Austin, Texas and Muncie, Indiana. And the Delaware Office of Animal Welfare, the state agency that oversees Delaware’s shelters, writes that such legislation “has improved the quality of care animals receive in shelters and has saved thousands of animals that would have otherwise been euthanized due to outdated policies and practices. 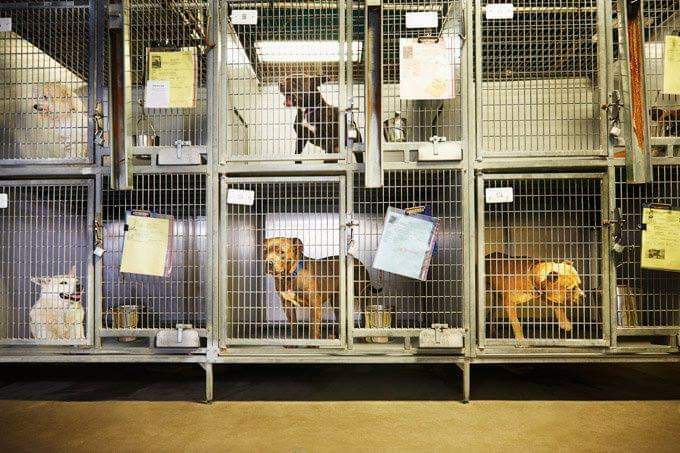 Prior to this law, healthy dogs and cats were euthanized very quickly, sometimes while their owners were looking for them.” New York City Council Member Bob Holden has promised to bring such legislation to a vote.